"In all my years attending conferences, this is the only conference that I have attended where the speaker actually modifies its slides based on the feedback and the honest interactions with the audience"
"It's you on photo? 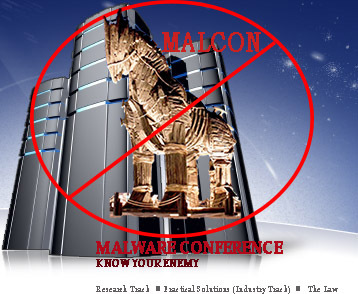 : Automatic Detection of Twitter Accounts Infected With the Blackhole Exploit Kit"
Your information will only be used to contact you about the MALCON Conference. MALCON never shares, sells, rents, or exchanges email addresses of its members or conference attendees.